This recipe just came to me this morning while I was out in my garden picking broccoli. I am so in love with fresh broccoli, there is nothing like it. If you ever get the chance to grow your own do it or pick some up at your local farmers market. 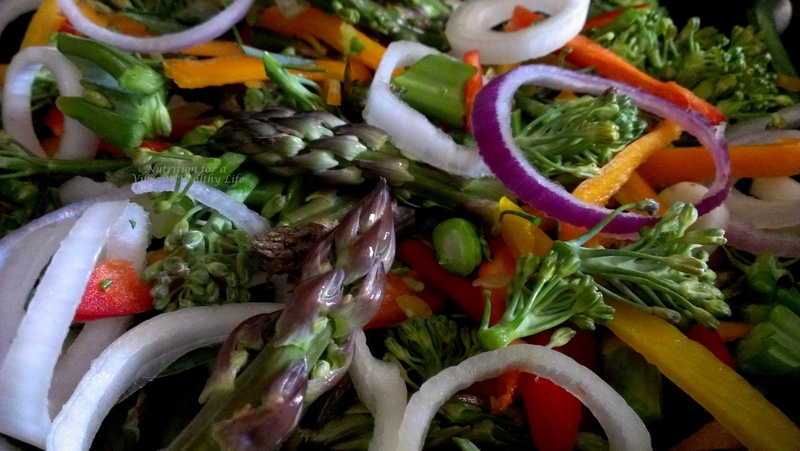 For all of the recipes that I post on this blog I only use FRESH fruits and veggies. You can absolutely use frozen if you like, but when you can use fresh, because fresh is always best. 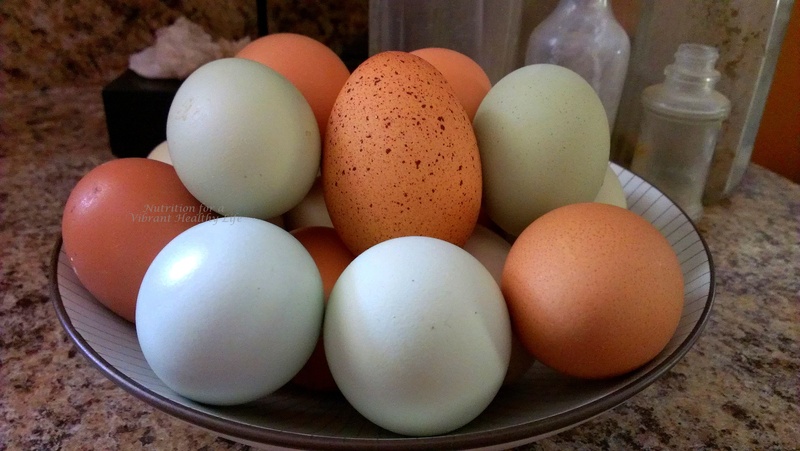 We also use farm fresh eggs, we stopped buying eggs from the grocery store about three years ago and for a couple of reasons, one they taste so much better, you know where they come from, it helps support local farmers and you can read more about it here. Let’s get cooking….. Please post in the comments below if you try the recipe and what are your favorite quick and easy breakfast recipes? Posted in Breakfast, Recipes and tagged Clean Eats, Delicious Food, Farm Fresh Eggs, Farmers Markets, FRESH, gluten free, Grow your own Food, Healthy Food Tastes Good, Nutrition, Shop Local, Vegetables for Breakfast, Wellness. Bookmark the permalink. It has been awhile since I have made a post. One of my goals for this year is to write more on my blog. I have never been a great writer but I have lots to say, things to talk about and share with you. I can only become better at things by actually doing them right, Right!! So here we go, I have always had a love/hate relationship with running, it is on all levels my biggest display of weakness (food is also my weakness but that is another post) I am all over the place, not relaxed, my breathing is out of control, my calves are on fire, its not pretty. I want to love running, I want to feel that high and experience those breakthroughs. This is the year I will run my first half marathon. I have been saying it for years and I am ready to go for it mentally but physically I am not there yet. I hope to run the Silver Falls half with my sister in law in November, it is a trail run and I have found out over the last year that I do like, actually love running trails. It would also bring me great joy to my little heart to run my first half marathon with someone that I have looked up to for so many years, Leslie inspires me everyday. I have not decided if I should do two half marathons this year or just train fully for the trail run but I think that is what I might do, we have lots of trails to train on here in Arizona. I have been filling my head with self sabotaging thoughts that I could never run a half marathon or accomplish many things for that matter. About a week before Christmas I decided to get back to it and take my life back, I started getting up at four in the morning to meet my friend and get an easy three miles in, most of that was walking but walking so FAST!!! I could barely keep up with the pace, then another friend joined back with us and she walks even FASTER!!!!! Now you might not think that walking can be challenging but let me tell you, Chasity and Stacy are super fast and we are also walking out in the desert with lots of ups and downs and on sandy dirt roads kinda like the beach but no water. I am always a few steps behind but this is good because it has been pushing me and making my legs stronger. I am really taking baby steps through this journey adding a few intervals at a time. I have done my share of doing things to fast to soon and then ended up with an injury or just gave up because things got too hard. So we have been at it every morning just at about 3 weeks now (they say a new habit is created in 21 days, phew I made it now let’s keep it going) and the past two mornings we have been picking up the pace meaning running more often and longer with our intervals, (I really need a running watch) both of my friends are experienced runners so I am very thankful for them because they push me to do better and really help me even though my pace is much slower and I cannot run as long, they always slow down for me and give me positive words of encouragement. Some runners may not be so helpful, I know that they could just leave me in the dust but they don’t (thank goodness its pitch black in the desert) and now that we are running more I am a few feet behind, but its totally fine I keep going and say OK so they know I need a break and even that break is challenging because its a power walk. I am so grateful for those two, and for my sister in law who taught me about the walk/run method. It’s hard getting up at four in the morning and out the door to go walk/run in 30-40 degree weather for an hour but it has become a goal that is non negotiable for me. Too many times I would have made an excuse, it’s too early, it’s too cold, I’m tired blah blah blah. That saying “choose the same way of thinking and you will get the same old results” is sooo true. I am working very hard on changing my thinking to more positive thoughts and talking to myself with more loving and kind words. I know that I can do anything and everything that I set my mind on, with a little Faith all things are possible. As soon as I saw the photo I am posting I fell in love with it because it brought me to a specific moment from this morning while we are out there running under the stars all I heard was silence and our feet hitting the dirt roads moving us closer to our goals it was like we were playing the road a little symphony, or telling a story that only the road could hear. The past couple of mornings when I am driving home I have felt this really calm and peaceful feeling, not tired just calm. Have a great Tuesday everyone…. Posted in Running and tagged Baby Steps, Faith, Goals, Half Marathon Training, Health, No Excuses, Pick up the Pace, Positive Thinking, Run, Running, Wellness. Bookmark the permalink. One of my favorite meals during the fall and winter months are soups, they are so easy and they taste delicious even more delicious the next day. (One thing that I have learned over the years is my life is a little easier when I can cook one meal and feed myself and others a couple more times during the week) There is just something about a hot bowl of steamy soup on a cool evening, yummy. I can already taste this delicious recipe that I am about to share with you. For the past few days I have been fighting a cold or maybe it’s allergies I am not really sure. Anyways it is making me feel lousy and light headed so it is time to bring out the big guns. I am not one to take medications and I stay clear of going to the doctor’s office by all means. So the only thing left is to eat whole foods and give my body what it needs. In this post I am going to give you two recipes, why you ask, well I want to share as many healing recipes that I can with you and soup just isn’t soup without homemade broth. 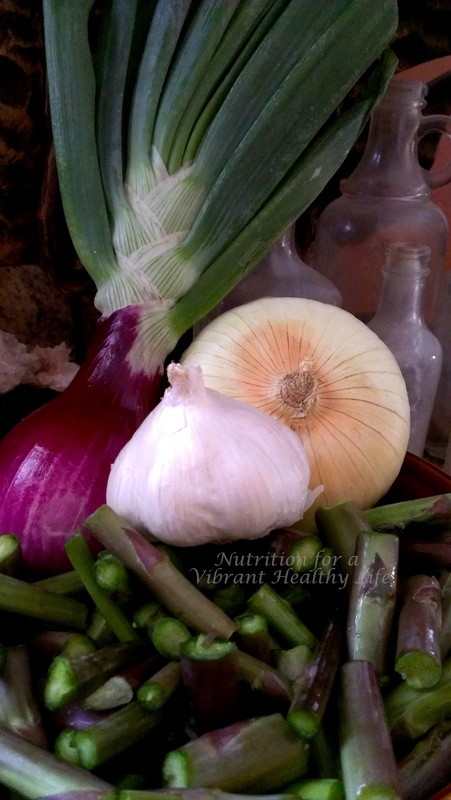 It has far more nutritional value than any store bought brand, it is loaded with tons of minerals that boost your immunity (the reason I am making this today) It also helps improve your digestive system for it is very gentle and calming to the tummy. Homemade broths are also high in collagen. Ladies and gentleman collagen does wonders for your bones, hair, skin, nails, joints. 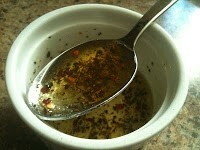 A couple more things about homemade broths, they simply taste better and it saves you money. Let’s first get started with making our broth…….. Roughly chop all your veggies and throw them into a stock pot, I usually just cut the garlic and the onion in quarters and throw it in the pot skins and all. Then put in all the seasonings and vinegar (vinegar helps draw out more calcium into the broth so don’t forget this step, you can’t taste it) you can add more or less if you like, then add in your chicken. Fill with water until everything is covered. Bring the broth to a boil and then reduce the heat to low and simmer for around 3-5 hours the longer the better. Now go do something fun for the next few hours or even take a nap. You can also do this in a crock pot which is great because you do not have to watch it, just set on low and you will have beautiful broth when you return from your adventures. If using a whole chicken remove it from the broth after it is cooked (juices will run clear when done) and let it cool completely. The chicken should fall off the bone at this point and will be easy to remove from the bones and very easy to shred with two forks. Wash and dice carrots, celery, onion, potatoes and garlic. Heat your skillet on medium and then add your favorite type of cooking oil, when the oil is heated add the carrots, celery and onion. Saute the three ingredients together just until the onions become transparent, I like mine a bit caramelized so I cook them a bit longer. Then add the garlic. Garlic should be added at the very end just to warm it, when cooked to long it gets extremely bitter and nobody wants bitter garlic in their soup, eww!! While the veggies are cooking and smelling up the kitchen with greatness I am usually shredding the chicken and adding it to the already heated broth around medium heat. Just before adding the veggies to the broth I like to add all the seasonings and warm them up a little bit about 2 minutes, I feel it helps bring out the flavor of them. After that add your veggies to the broth. You can always add more, less or your favorite seasonings. That’s the wonderful thing about cooking the possibilities are endless. Posted in Recipes, Soups and tagged Bone Broth, Chicken, Coconut oil, Garlic, Golden Goodness, Healing Soups, Healthy, Homemade, Soup, Veggies. Bookmark the permalink. Over the past couple of years I have suspected that I have developed some food intolerance’s and with a life long struggle of yo-yo dieting, binge eating and drinking, drug addiction and not exercising consistently one would also soon discover that the combination of all these things would lead into some digestive issues as well. In the summer of 2010 is when I decided to get serious about my health and I really started noticing how food was affecting my body, I don’t know why I never noticed it before, weird! This was my first attempt at trying Paleo. I was very determined to get my health in order and I never cheated. Well, a few times I did. My main thinking was to lose weight and look good, but I never focused on really feeling better mentally and physically a mistake I feel that I made on this journey. So for 43 days I ate and lived Paleo. No sugar from any source, grains, dairy, processed foods, cereals, breads etc. On the rare occasion I did have some berries and a little dark chocolate. Hey, sometimes we just need some dark chocolate!!! You know what I felt great, I lost 13 lbs and a few inches. My attitude was better, my skin looked better, and I had more energy. So what happened from that summer to now? Well a lot of stressful situations, depression, and a lot of not knowing what I was doing with my life and I fell right back into struggling with my food choices and not exercising. Staying consistent is key and I know that but I just wasn’t doing it. The result of this destructive behavior over the years has really done a number on my body, pain in my legs and feet along with swelling, I am bloated all the time, my skin has not been clear, joint pain, and most important I just feel horrible. I lack energy, motivation, confidence, my attitude stinks and I am depressed all the time. The excuses stop NOW!! I am tired of hearing the same old story and excuses play over and over in my head all the time. I am tired of feeling sorry for myself. I absolutely do not like looking in the mirror. It’s time to change my thinking and stop believing all these negative thoughts that I keep telling myself. I will no longer use my body as a garbage can!! It’s crazy, on a recent emergency trip back home I had some wonderful and really meaningful conversations with my sister in law and my brother and at times those conversations where really hitting me right in my heart like they were meant for me to hear. Funny how God speaks to us sometimes. I know what I need to do, the hard part is doing it. I wish there was a reset button that we could push and all of our health issues would disappear but then again that would be the easy way out and there is no fun in that. Learning along the way what works and doesn’t work is all part of the journey and makes us stronger in the end. I have set goals in the past and I think sometimes they are a bit too much, so I am just going to keep them simple and basic for now. Simple whole foods are what I will be eating along with yummy green vegetable juices, healthy fats and some probiotics and digestive enzymes. Also getting exercise in at least 4 days a week, and running a 5k this weekend. My nutrition and staying active are number one on my list and I am choosing to focus on getting healthy and healing my body instead of focusing on the weight loss, I know that will come with it so that will just be a bonus. Right now at this moment I would say I eat healthy 65% of the time and the other 35% of the time is eating too many processed, quick and convenient foods. I don’t want to start off with eliminating too many foods but in order to see what is causing certain things I will start with a few. This first week will be gluten, processed foods and grains. I know that seems like a lot of things but I know first handed that these are all triggers for me. I will keep you all updated throughout the weeks of how it is going and what I have been eating. One of my favorite food choices in the fall and winter months are soups, here is one of my favorites recipes that I will be making. Enjoy!! Operation Get Healthy is in full effect!!! 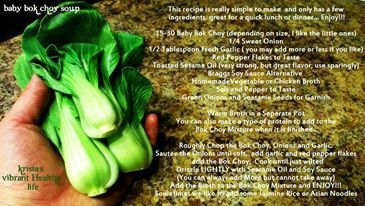 Posted in Binge Eating Disorder, Thoughts and tagged Binge Eating, BoK Choy, Eat Healthy, Exercise, gluten free, Grain Free, Health, No Excuses, Nutrition, Soup, Wellness, YO YO Diets. Bookmark the permalink. I am so excited that Fall has finally arrived here in Southern Arizona, the days are still a bit warmer than I would like but the mornings and evenings are simply amazing!! Its the perfect weather for warm comforting but healthy foods. I absolutely love pumpkin in everything from lattes to muffins to soups. Pumpkin is wonderful for both sweet and savory dishes, I have some wonderful recipes to share with you this Holiday Season, did I just say Holiday Season sheeeesh!!!! We will talk about that later for now lets move on to my Pumpkin Pie Oats. This recipe serves one but you can increase the amounts if you so wish, you will want to share this with your loved ones or maybe not. Cook the steel cut outs according to the package instructions, remember these type of oats take a bit longer to cook than rolled oats but feel free to use whatever type of oats you like or have on hand. For this recipe it is completely okay if there is some liquid left in the oats because the chia seeds will soak it right up. After the oats are done I add all the other ingredients and mix it all together and top it with chopped pecans. So simple and so easy. ENJOY! Please leave me a comment on what pumpkin recipes you would like to see…. Posted in Breakfast, Recipes and tagged Breakfast, Ceylon Cinnamon, CHiA SeeDs, fall, Fall Recipes, Maple syrup, Oatmeal, Oats, Pumpkin, Pumpkin pie, Southern Arizona, Vegan. Bookmark the permalink. Hey Everyone….Well since my car accident last Friday I have not been doing all that much especially cooking it’s all been about easy meals lately. So today I was craving something, but I couldn’t figure out what it was that I was craving. I was looking through my fridge (which is pretty empty also because I have not been grocery shopping in over a week) I came across some Ezekial Tortillas and avocados and then thought to my self hmmmm I could make some crispy and crunchy baked chips and homemade guacamole. This is one of my absolute favorite healthy snacks. Avocados are full of protein, good fats and full of vitamins and minerals that help protect against heart disease. You can use avocados for a number of things such as replacing mayo on a sandwich with some avocado, make a raw chocolate pie or a face mask. The possibilities are endless, isn’t nature FANTASTIC!! Today we are making some yummy guacamole and my version of this desired and popular snack will be without all the processed junk and oils that you would normally buy at the grocery store. ENJOY!!!! 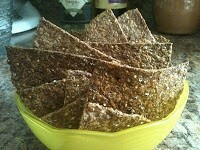 I started with Ezekiel Sprouted Tortillas, I have been looking into getting a food dehydrator so I can make Raw Sprouted Chips but this is what I had on hand and they are really Yummy!! They have a nice nutty flavor that pairs nicely with other dips such as hummus or salsa. 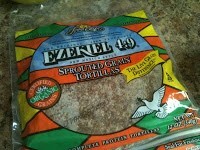 I also love making tacos with these tortillas they have such a great texture and flavor. Next I made a mixture to give the chips some nice flavor and that crunch that we are looking for in a chip. I used 2 TBS Organic extra virgin olive oil, Himalayan sea salt, fresh cracked pepper, a little bit of garlic powder and Red Pepper Flakes for some heat. I brushed both sides of the tortillas with the olive oil mixture, cut them into quarters and placed them on a baking sheet. I used six tortillas making a total of 24 chips. Bake in the oven at 400 degrees for 5-10 minutes. Make sure to flip the tortillas half way through so you can ensure that both sides are crispy. You will begin to smell when they are about done so don’t start a big project while you are waiting for these little babies or they will burn, and we don’t want that when we are hungry!!! VOILA!!! 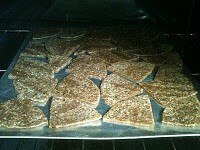 Sprouted Tortilla Chips, wasn’t that so easy!! Great nutty flavor and they hold up nicely to thicker dips. I encourage you to try these chips at your next party or event. It’s never to late to introduce people to healthier options of snacks that usually are not so healthy. 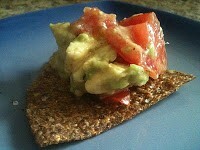 The guacamole that I make at home is even easier than the chips and is so good for you. I see alot of recipes that add mayo, cottage cheese, sour cream, WHY? Well, you will not find any of that here just fresh, raw ingredients. Here’s how to prepare it. Squeeze of Fresh Lime Juice. Cut the Avocados in half. Take out the pit. Scoop out the yummy buttery goodness into a bowl. Dice and cut the pepper, onion, garlic and cilantro. Add the remaining ingredients to the avocado and mix together and now you have a beautiful bowl of fresh and delicious guacamole. We like ours chunky so we only mix a little bit. Posted in Recipes, Snacks and tagged avocados, Chips, Events, Fresh Ingredients, Guacamole, Himilayan Sea Salt, Parties, raw, Sprouted Chips, tortillas, Try Something New, Vegan. Bookmark the permalink. 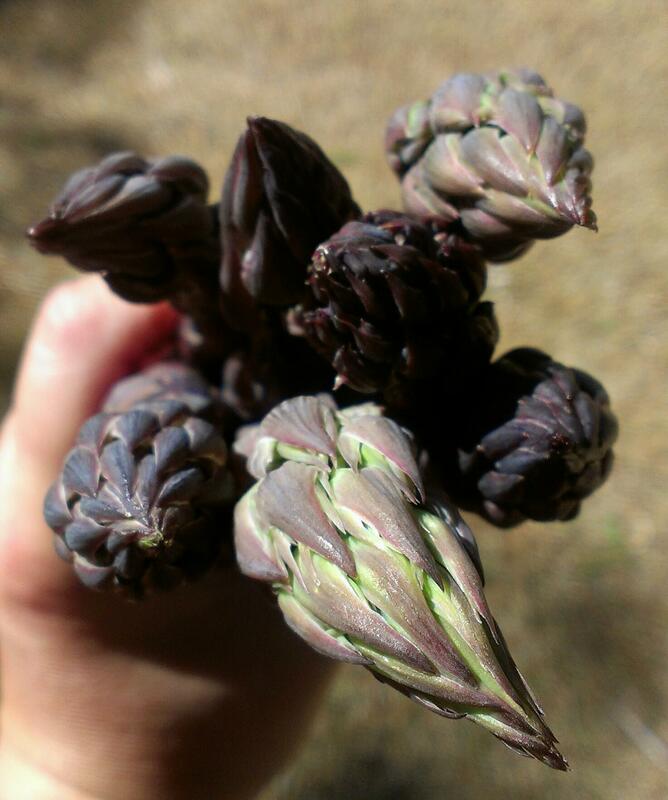 One of my favorite things to eat lately is Purple Asparagus from the farmers market. It is so sweet, nutty, tender and delicious I just can’t get enough of it. It is good for breakfast, lunch and dinner, even a snack. 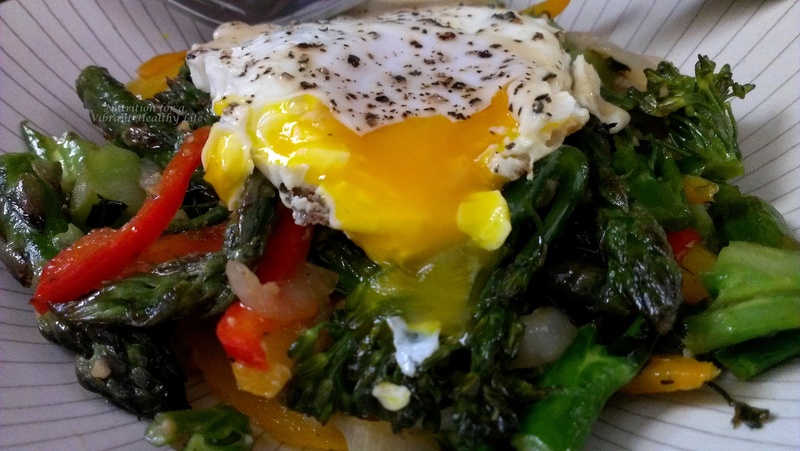 Some of my favorite ways to prepare asparagus is on the grill, or sauteed with peppers, broccoli, onions and garlic with a farm fresh over easy egg on top. The last time I prepared the above I only used the tips of the asparagus, and I was thinking what I could make with the left over and then I remembered a chilled soup that a friend of mine was talking about so I thought I would try it out. I am so glad that I did because it is soooo good!!! This recipe only has a few ingredients, it is super easy, super yummy, and anyone can eat it…. This recipe can be raw, vegan, low calorie, low carb, gluten and dairy free, paleo anything that you desire…. Optional: Green Onions, Sour Cream, Greek Yogurt, Vegan Sour Cream etc. My favorite way to prepare this is to saute the onions, garlic, and red pepper flakes, salt and pepper in the olive oil. I am not a fan of raw onion flavor and I like the sweetness that onions have after they are sauteed a little bit. Then put in your blender or food processor with the asparagus and blend together until smooth, it will be a little thick so this is when you will add the water or chicken broth to get the consistency that you desire. DONE!!! See how easy that was!!!! add some green onions and a little greek yogurt and ENJOY!!! This is the way I like to prepare this, remember you can make this a completely raw vegan soup if you so wish! I do my best to make recipes that satisfy everyone. I am not all raw or vegan but I do enjoy incorporating lots of plant based meals into my diet so you will find a little bit of everything here!!! 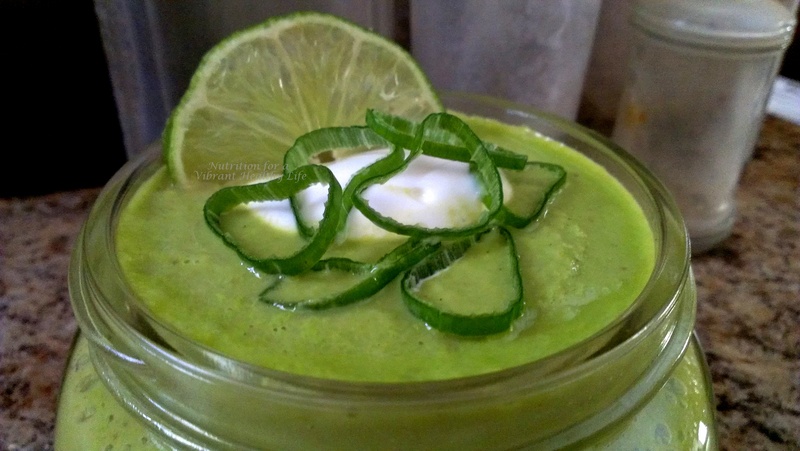 Posted in Lunch, Recipes, Soups and tagged asparagus, FRESH, gluten free, Nutrition, paleo, raw, Soup, Vegan. Bookmark the permalink.